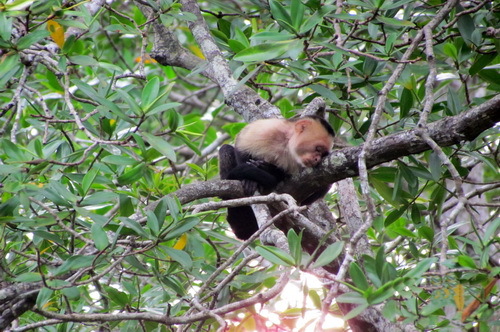 One of the most popular tours in Quepos & Manuel Antonio is a treasured secret - almost! If you think the Damas Island Estuary and Mangrove Boat Tour might be sedentary, then let this very “interactive” and fascinating tropical rainforest and delicate mangrove ecosystem surprise you! The highly trained, naturalist, bilingual guides steer you peacefully and comfortably in high-tech, ultra-quiet estuary boats as the wildlife comes to you – sometimes almost into the boat! Experience curious families of monkeys as they migrate across the mangrove ecosystem – which includes your boat – in search of food and adventure. And discover the secret ways different exotic trees of Costa Rica replenish the environment worldwide, yet sustain themselves for decades of growth. 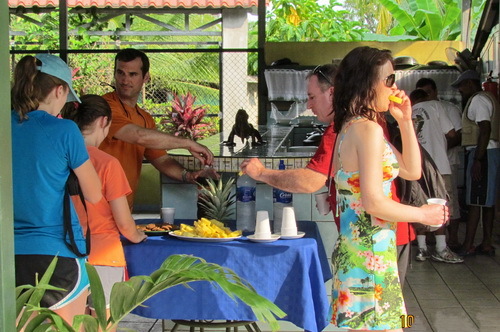 And when you get a chance, enjoy some local fresh fruits and refreshments as you pause to savor your adventures. This safari tour will be a very memorable experience that will help you understand the exotic secrets and treasures of the Costa Rican tropical rain forest. And after your adventure enjoy a delicious and well-deserved hot Tico-style meal. Does a mangrove safari searching out birds and wildlife interest you?! Come learn about our delicate Costa Rican mangrove estuary and ecosystem -- so uniquely different than other parts of the world. Then return with the knowledge of how important it is to Costa Rica -- and the world environment -- to preserve this delicate yet vital aspect of life that intricately fits into the ecosystem of our entire known world. Parklands Costa Rica offers you good value fun activities and attractions options all over Costa Rica! With our low price guarantee and honest personal service you can't go wrong. Parklands is ready to help you! Don't stress or make the common online mistakes by trying to do it alone! You will pay no extra for our personalized & professional travel planning service. 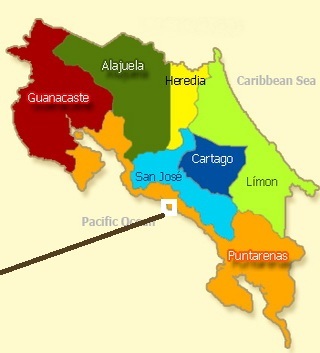 We know Costa Rica, the best places, and the distances and we listen to you. We are here on location and can help customize a unique travel plan for your Costa Rican vacation. Parklands works hard to meet your needs, offering you great customer service and value!